have you ever seen a gallon of vegenaise in person? 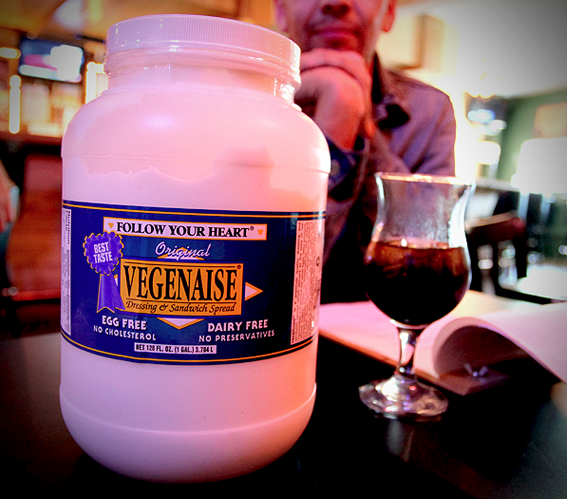 i spotted a dude with this epic vegenaise jar at a bar in burbank last week, and i couldn’t believe it. i was frightened and in awe all at the same time. what would YOU do with a gallon of vegenaise?!????!!! i love food that causes me pain and makes my eyes water. so naturally, i find a typical potato salad rather dull. 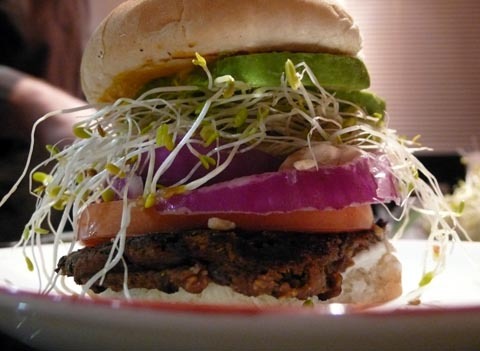 last night i came up with this recipe (adapted from many others) that’s extremely spicy, rich with flavor, and 100% vegan.